Are you reading the PMBOK Guide? Do you really need to read the PMBOK Guide? I get such questions all the time… Most PMP aspirants are loathe to read the PMBOK Guide – which is the official publication from PMI. The Project Management Institute publishes the Best Practices and Guidelines for managing projects in the PMBOK Guide. Currently, the Sixth Edition is running, which came into effect in July 2013, and is still going strong… PMI releases new versions in 4-5 years time. Many people, who are preparing for the PMP Exam, are simply put off by the PMBOK Guide’s thick size, and most fall asleep while reading it. Some think that since they are studying another PMP Exam Preparation Book, therefore, they don’t need to read the PMBOK Guide. 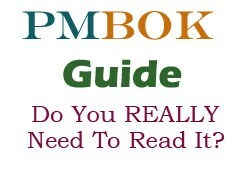 Keep in mind that Reading the PMBOK Guide is not sufficient to pass the PMP Exam. However, I would recommend each and everyone to Read the PMBOK Guide at least once. You may ask – WHY? Because there are several goodies hidden in the PMBOK Guide. 1. The PMBOK guide contains the Inputs, Tools and Techniques, and Outputs (ITTO) to each of the 47 processes. Most PMP exam prep books do not cover each and every ITTO in depth.The PMBOK Guide’s coverage is detailed, in-depth, and covers the key aspects of each approach, tool, technique in detail. 2. When you begin reading the PMBOK Guide, I’d recommend to start from the back of the book – read the Glossary first. There are over 300 plus terms – which the PMBOK recognizes, and these will often appear in the PMP Exam. It is really important to become familiar with the common Project Management Terms. Tell me – Are you familiar with the term – Tornado Diagram? Well, it is a genuine PM term, and regularly appears in PMP Exam questions. And there are several others, which are all genuine PMI terms, which you may not have ever heard of. So this is a Good Enough Reason to Study the PMBOK Guide. 3. PMBOK is considered the Bible – a “must read” book. It explains all the project management processes and tools & techniques in much more detail than most other PMP exam preparation books. So whatever exam prep book you read, you must always have the PMBOK guide next to you, so that you can refer to it, and complete your understanding of any topic by finally reading the PMBOK guide. The only flaw with the PMBOK guide is that although it is the “body of knowledge”, it is not “exam centric”. It does not help you to prepare for the PMP exam. It merely gives you all the knowledge, and leaves it up to the Project manager to mold and tweak it to their industry and project, and use it in any way they like. Thus, it is good to understand the overall project management processes and their flow, but it will not prepare you for the difficult PMP questions. You need a structured approach to learn how to answer situational questions in PMP exam. So the quick answer is that YES, you do need to read the PMBOK Guide. But reading the PMBOK Guide alone is not sufficient. 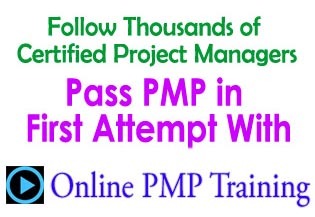 You need to extend this knowledge with street smart, exam focused approach, which will help you to pass the PMP exam. Do let me know about your thoughts, and post them here.